; m_BaseSize is guaranteed to be a multiple of 8.
cmp r8, r10 ;; alloc_ptr + size < limit_ptr ? 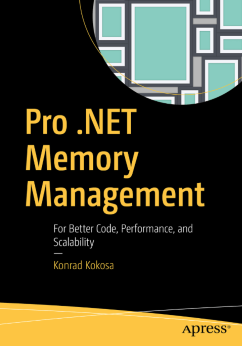 Besides managing allocation pointer, .NET manages also allocation limit – a boundary of allocation context with memory being already zeroed. This allows using such memory instantly, without the overhead of zeroing it when an object is being created. Zeroing it in advance has an important advantage of warming CPU cache before accessing from our application code. Bump a pointer technique checks whether requested size fits within allocation limit. If not, it falls back to the slower allocation path, which we can see as jumping to JIT_NEW in the code above. It is the necessity of abandoning this fast path that makes the “allocation is cheap” phrase not always true. 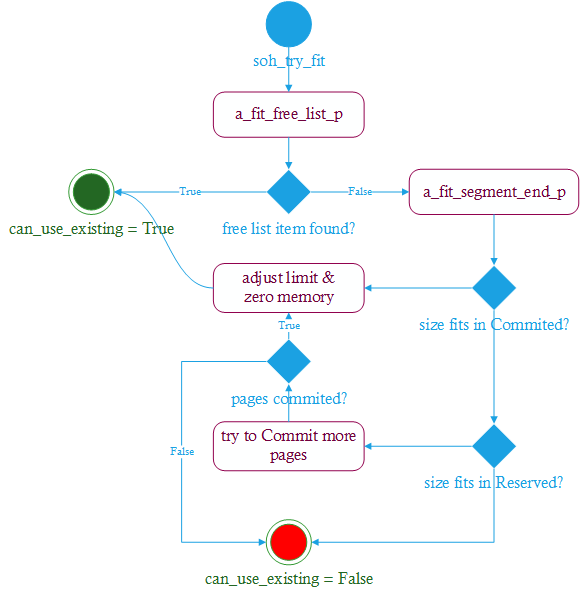 Slow path is realized as a quite complex state machine which tries to find a place with the required size. We can see it in gc_heap::allocate_small and gc_heap::allocate_large method used for Small Object Heap and Large Object Heap respectively. Describing all the logic here is not my point. What I would like to point out is – memory allocation is ALMOST ALWAYS cheap but… it may be also SOMETIMES SO complicated. 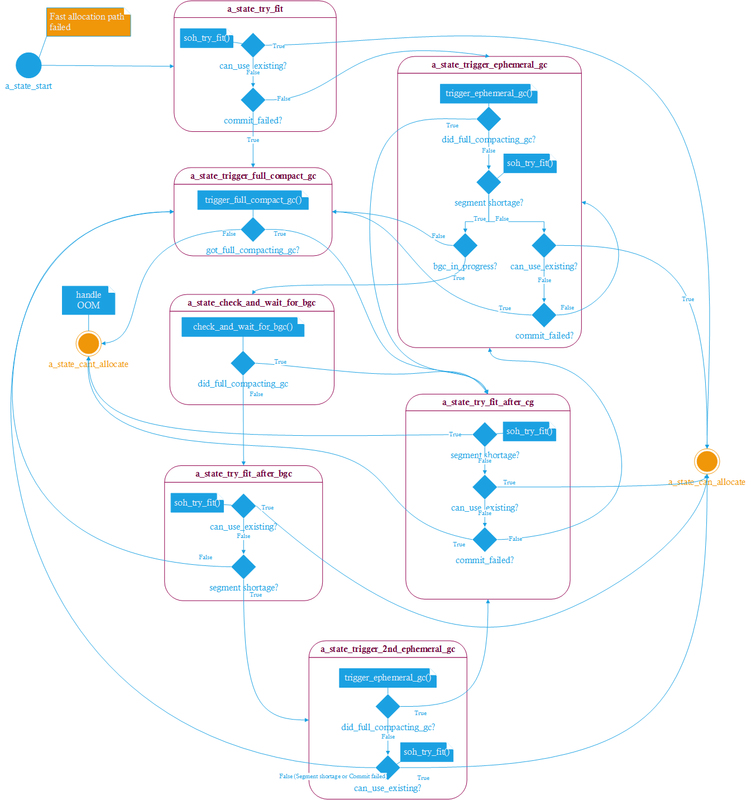 Executing illustrated state machine has its own cost. Obviously, in the worst case, it will trigger garbage collection which is the reason why it is the best to not allocate at all in the first place. But even without GC, we can spend a while in the allocator. Thus, after digging into those methods making code less allocatey makes even more sense to me than before. Does .NET do scope testing at compile time (or even run time) to determine which objects should be allocated on the stack vs which should be allocated in the heap? One facet of Golang that makes it fast is that it only allocates on the heap if it needs to hence it’s GC runs are inherently smaller. Does .NET have a similar strategy? RETN/RETF (even at 35 cycles when stalled) is much much cheaper than GC. 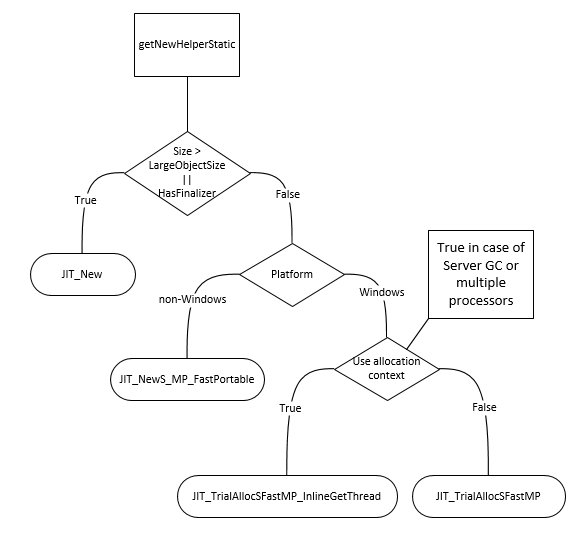 Also, is .NET GC multi-threaded as well as concurrent (or is stop th world)? Nope. Escape analysis which would make possible reference types allocation on the stack is an ongoing work. .net has “in place” allocated types (e.g. structs) which are allocated with their owner, on the stack, etc, and only heap alloc on their own when boxed, which accomplishes the same feature explicitly rather than implicitly. This technique is also called TLAB (Thread Local Allocation Buffer) in the literature. Cache warming would be beneficial if the zeroes were read, but most of the time they aren’t, the memory is just overwritten in the ctor. Is it really an advantage in that case? I just learned about fetch-on-write-miss cache policy, I guess you are right and the cache warm-up is an advantage even if the data is overwritten.